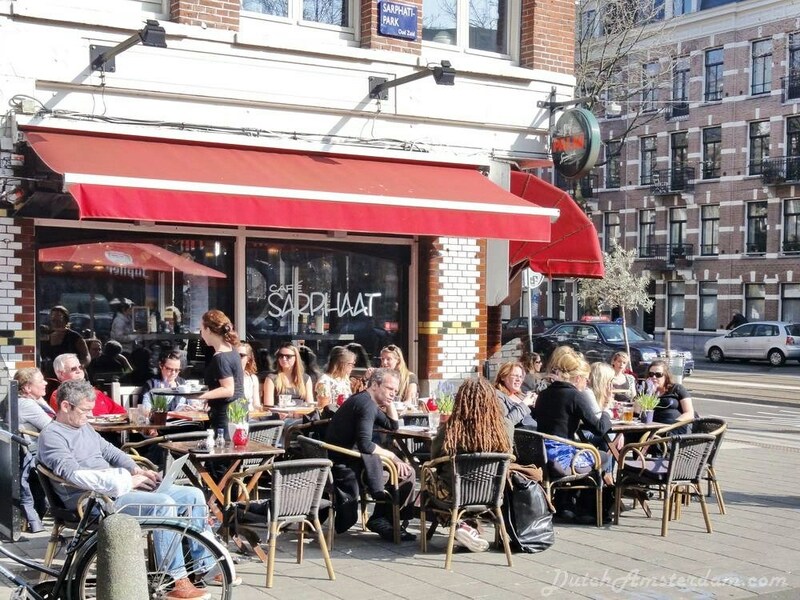 Upon their return home from Amsterdam many tourists recount colourful stories of how they ‘accidentally’ visited a coffeeshop (just like they ‘innocently stumbled into’ the infamous Red Light District). A place where you can legally buy soft drugs (marijuana or hashish), space cakes, coffee, tea, and sometimes freshly-squeezed juices and sandwiches. In the past some coffeeshops also served alcohol. All coffeeshops display a green-and-white sign at the entrance, usually along with their license plus notices declaring that no one under the age of 18 is allowed to enter. Same as above, minus the soft drugs. Terms coffee establishments generally don’t use to refer to themselves. Used by reviewers to avoid confusion with coffeeshops. If it’s artisan coffee you’re after, look for names like “Bocca Coffee,” “Screaming Beans,” “Lot Sixty One,” “Two for Joy,” “Koko,” “De Koffie Salon,” and lots more — including our favorite: Al Ponte. Most cafes and pubs also serve a good cup of coffee. Small wonder, the Dutch are the world’s biggest coffeedrinkers, and we demand quality coffee. Trust us, it’s not likely that you accidentally walk into a ‘coffeeshop’ that has cannabis products on sale. Just look for the green and white sign. Not there? Go get a cup! Good coffee can also be had at most so-called coffeeshops (usually written as one word), but the emphasis in these establishments is on cannabis-related products — which you can legally purchase and use on the spot. You can legally buy and use soft drugs at coffeeshops. (Note: you can have so-called ‘personal amounts’ of up to 5 gram on you without getting in trouble with the law). The coffeeshops are licensed to sell you the goods. 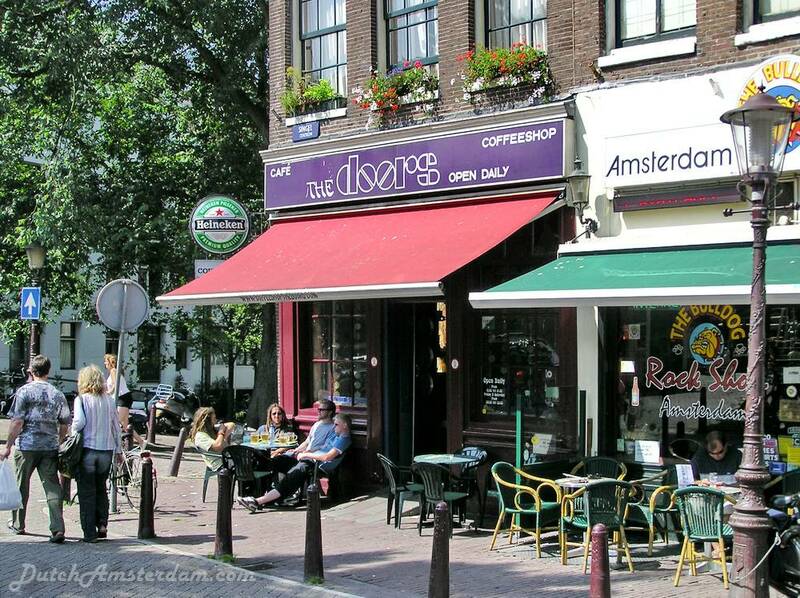 By the way, A 2007 report by Amsterdam’s Department for Research and Statistics showed that 26% of tourists who stayed in Amsterdam for at least one night visited a coffeeshop. Ten percent said this was a primary reason to visit the city. Visiting a coffeeshop is legal, safe and fun — whether or not you smoke what’s on offer. The Cultural Ganja Walking Tour of Selected Coffee Shops is a great experience. The knowledgeable, local guide will show you where to get the best ganja, what kind of weed to buy, how to roll a joint, and how the whole coffeeshop phenomenon fits into Dutch culture. A key aspect of Dutch drug policy is the notion of market separation. By classifying drugs according to the risks posed and then pursuing policies that serve to isolate each market, it is felt that users of soft drugs are less likely to come into contact with users of hard drugs. Thus, the theory goes, users of soft drugs are less likely to try hard drugs. Possession of small amounts of cannabis for personal use has been decriminalized in the Netherlands. The sale of cannabis is technically an offence under the Opium Act, but prosecutorial guidelines provide that proceedings will only be instituted in certain situations. the municipality has not ordered the establishment closed. Decriminalization of the possession of soft drugs for personal use and the toleration of sales in controlled circumstances has not resulted in a worryingly high level of consumption among young people. The extent and nature of the use of soft drugs does not differ from the pattern in other Western countries. As for hard drugs, the number of addicts in the Netherlands is low compared with the rest of Europe and considerably lower than that in France, the United Kingdom, Italy, Spain and Switzerland. Dutch rates of drug use are lower than U.S. rates in every category. At best, those who buy ‘weed’ from them may discover they’ve paid for a mixture of chives and parsley with some cannabis scent added. Worst, these criminals seldom, if ever, sell real drugs. They pills and powders they offer may contains washing powder, ground up aspirin or birth control pills, or seriously dangerous substances. Those who fall for this tourist trap endanger themselves in other ways as well. Deals tend to take place in dark corners or alleys, where you can easily be robbed. The best approach: Don’t make eye contact with street dealers. Don’t talk back. Simply ignore them. One of the most popular coffeeshops is De Tweede Kamer. 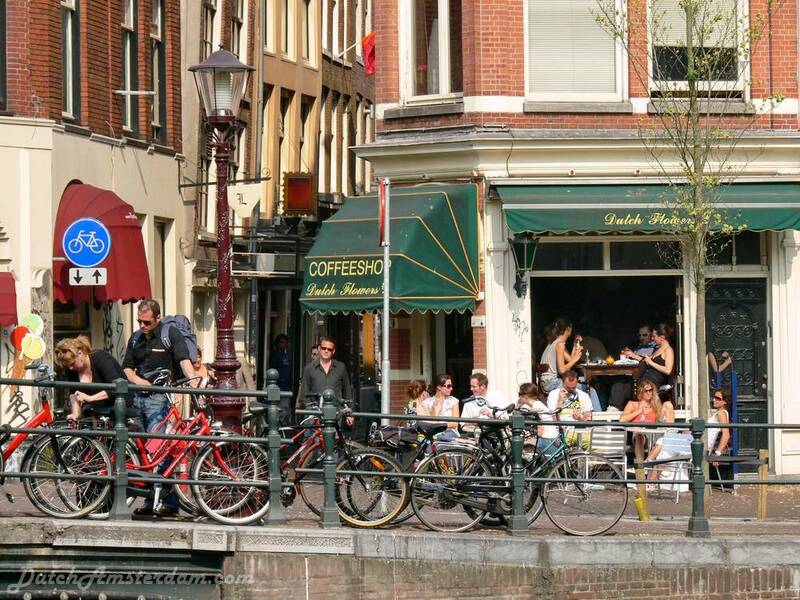 Will Amsterdam’s famous coffeeshops have to close?